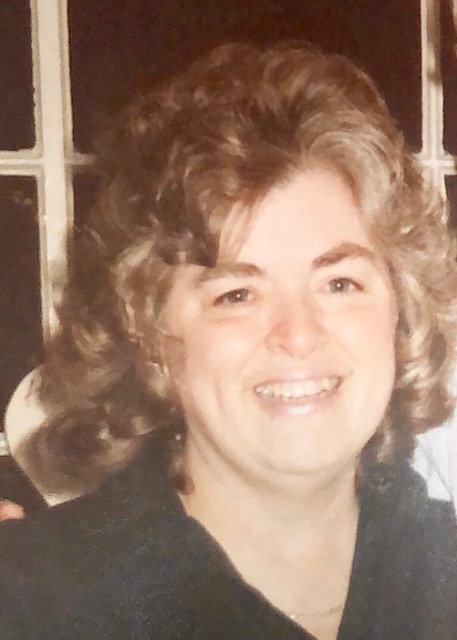 LITCHFIELD - Beloved wife, mother, grandmother, sister, aunt, cousin and friend Terry Yale, 70, of Litchfield and Portland passed away in her sleep at Mercy Hospital in Portland in the early hours of Wednesday, Oct. 10, following a brief illness. 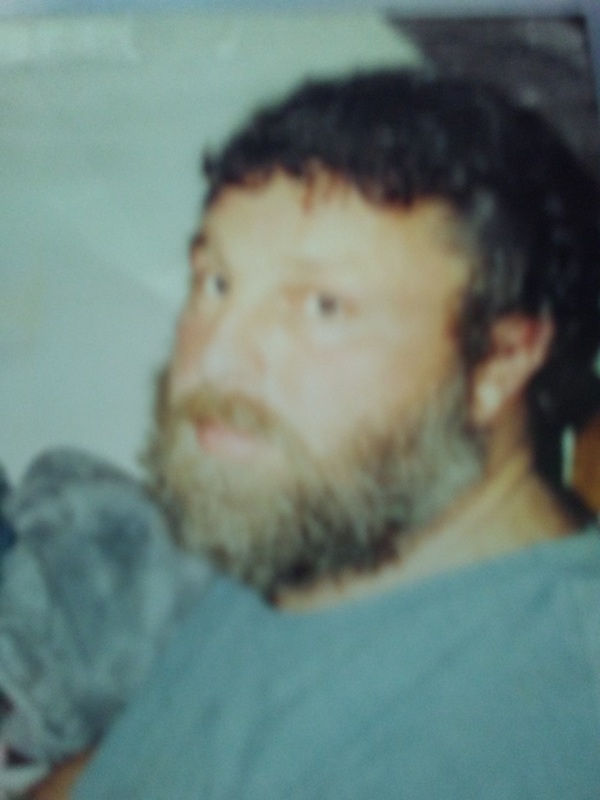 Pittston-James Arnold Kidder, 72, of the Whitefield Rd., died at his home on Sunday, September 30, 2018 from Glioblastoma diagnosed May 30th. He was born on February 27, 1946 the son of Arnold and Laura (Chapman) in Gardiner. Jim graduated from Gardiner Area High School with the class if 1964. On September 18, 1971 Jim married the love of his life "Diane" at Christ Church in Gardiner, Me. On August 9, 1973 Jim and Diane were blessed with a beautiful daughter "Jodi Ann". Jim's passion for cars started at an early age while in high school he was an active member of a local car club called the "Knights of the Overhead". In more recent years he had been a member of Down East Street Rods. Jim was a member of the Masonic Lodge in Dresden, at one time a member of the Kora Shriners. He was also a past commander of the U. S. Power Squadron and taught boating safety classes for many years through GAHS Adult Education. Jim was one of the organizers for the "The Gassah Guys" at Winterport Drag Strip and was the initial "Flagman" for their race weekends for 11 years. Jim enjoyed working on his street-rods, going to out of state car meets. For many years Jim, Diane and Jodi enjoyed boating from their mooring in Linekin Bay in East Boothbay to Bar Harbor or to Kittery and all coastal places in between. Jim also enjoyed a good prank!! Jim worked for Central Maine Power Company, retiring after 37 years. He also worked for Goodwill Industries for 10 years. He most recently had been employed as a school bus driver for Cyr bus. Jim was predeceased by his parents, a sister, nephew and a niece. In January of this year he lost his father-in-law Richard S. Weeks who he thought a lot of. He is survived by his wife Diane, daughter Jodi and son-in-law Pete and grandson Jared. Also, mother-in-law Connie Weeks, sister-in-law Roxanne and her husband Ed, brother-in-law Ron Weeks and his wife Davadell, niece Kari and her daughter Avary, nephew Joe and wife Daphne a their daughter Zoey, nephew Peter, several cousins, great nieces and great nephews. Per Jim's request there will be no funeral services. There will be a "Celebration of Life" for Jim on Saturday, October 20th at Pittston Fair Grounds Community Hall from 12 to 3pm. In Jim's memory donations may be made to the Maine General Hospice, Augusta. We would like to give special thanks to his hospice nurse "Donna". To all his doctors and nurses throughout this journey since May 30, 2018. Thank you "Samantha" for all your help and love. All of our family and friends for their help and support and love. Thank you, Diane and Jodi. Richmond-Joyce K. Klimko, 70, of Main St.,passed away on September 27, 2018 at Mid Coast Hospital, Brunswick. She was born on March 24, 1948 in Brunswick the daughter of Leroy and Irene Hart. Joyce is survived by her husband Ken Klimko, daughter Samantha Klimko, son Shane Klimko, brothers Richard Hart, Roger Hart and their families, 4 grandsons, 1 granddaughter and 5 great grandchildren. A celebration of life will take place on Sunday, October 7th from 2 to 4pm at the American Legion Post 132 Carding Machine Rd., Richmond. Barbara Penney Mount, Age 76, passed on to become the brightest star in the sky, and in our hearts, Tuesday, September 25th, 2018 in Newburyport, Massachusetts. After living with her daughter and granddaughter for a year, Barbara spent this last year in the loving care of Country Center for Health and Rehabilitation. Barbara’s love of her family and friends kept her fighting hard against her battle against Myasthenia Gravis and Parkinson’s. Dresden-Yvonne G. Reed, 83, of the Cedar Grove Rd., went to be with the Lord on Saturday, September 8, 2018 at her home with family and friends by her side. She was born on January 7, 1935 in Dresden the daughter of Oscar and Lela Bailey. Yvonne was predeceased by her parents, 2 brothers and one sister. Yvonne is survived by her husband of 66 years Francis "Gene" Reed of Dresden, son's Francis Reed Jr., of Virgnia, Richard Reed of Woolwich, Frank Reed of Dresden, Rodney Reed and wife Cathi of Topsham, and daughter Wanda Brown and husband Richard of Augusta, 9 grandchildren, 7 great grandchildren, many nieces, nephews and cousins. Also, special friends Mary Collins and Kelly Newton Clark. A funeral service will take place on Saturday, September 15th at 11am at Kincer Funeral Home. 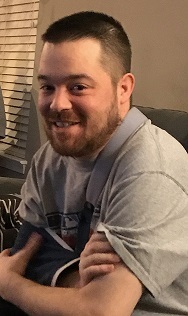 Elkridge, Maryland-Gerard "Gerry" Therrien III, 34, formerly of Wayne Maine, passed away unexpectedly on Thursday, August 30, 2018 at his residence. He was born on April 18, 1984 in Augusta the son of Gerard "Red" and Kim Therrien. Gerry attended local Maranacook High Schools. Gerry later attended the Towson University receiving his B.A., and a Masters Degree from Eastern Kentucky University. Gerry enjoyed traveling, meeting new people and learning new things. He enjoyed fishing, Patriots football, and particularly loved his church and Crossroads, a group within the church. He worked for BP Lubricants, Oceaneering MARS International and Waco Aluminum as a health and safety officer. 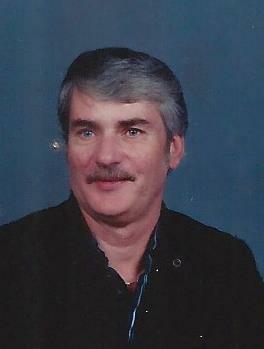 Gerry was predeceased by his grandfather Gerard Therrien, Sr. He is survived by his parents Kim and Red Therrien of Wayne, brother Scott and wife Meredith of NC, sisters Jessica Therrien Messier of MD, Karen Sciorilli and husband Brian of MD., maternal grandparents Lisa and David Cloutier of Augusta, paternal grandmother Annette Therrien of Gardiner, nieces Alison, Alexia, nephews Leo and Dominic. A Mass of Christian Burial will take place on Saturday, September 8th at noon at St. Francis Xavier Catholic Church 130 Route 133 in Winthrop. Burial will follow at the Evergreen Cemetery in Wayne. A gathering will take place at the families home in Wayne following the burial. 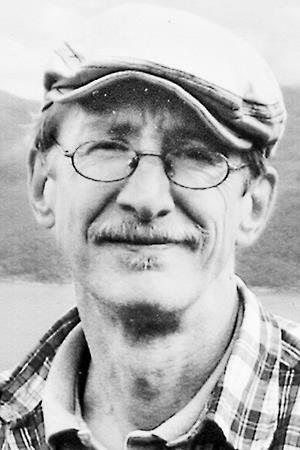 Richard F. Dunbar Jr., 54 of Bowdoinham, died on September 1, 2018 at Maine Medical Center in Portland. He is the son of Richard Dunbar Sr., and Elizabeth J Larner. Richard attended Mt. Ararat High School. He was currently self employed as a worm harvester and operated a firewood business. Richard enjoyed motorcycle riding, family vacations, spending time with family and friends. He is survived by his father Richard Dunbar Sr., Stepmothers Ludivina Dunbar, Debbie Dunbar, his daughter Angela Despres, special friend Theresa Overmiller, grandsons Donovan Adams and Darian Smith, brothers Eric Nilsson, Isaac Larner, Joey Dunbar, sisters Roberta Nilsson, Lorraine MacGowan, Carol Lannon, Barbie Nilsson, Candy Dunbar, and many friends. He was predeceased by his mother Elizabeth Larner, brother Jeremy Larner, and son Robert Despres. A graveside service will be held at the Bayview Cemetery in Bowdoinham on Thursday, September 6th at 3pm. Flowers may be sent to Kincer Funeral Home. PORTLAND - Francis Edward Ackerman passed away on Aug. 12, 2018, in Portland, Maine. Born in Washington D.C. on Dec. 2, 1951, Francis, or "Kicky" as he was called by family and friends, was the son of Edward and Adrienne Ackerman. The family moved to a mountainside in the Vaud, Switzerland, in 1960 for alpine air to remedy his childhood illnesses. At the age of 10, he began his formal education at boarding school in England; first at King's Mead in Sussex; then winning a scholarship to the ancient school of Charterhouse in Surrey, followed by Bedales in Hampshire. He received his Bachelor of Arts in History at Pembroke College, University of Cambridge in 1973 and later earned his J.D. from Boston University in 1979. Having known each other all their lives, Francis married Anne Marie (Pusti) Buschardt of Holte, Denmark in 1983 after a five-year courtship. They lived in Boston, Copenhagen, and Paris, before moving to Maine in 1985. Settling in an old farmhouse that Francis named 'Bushwhack Farm,' Pusti created beautiful gardens and Kicky explored and tended the "back forty." Here they raised their three children, Cecilia, Anna, and Peter. Over the years, they cultivated many friendships. Kicky was a gracious host with a special flair for creating festive celebrations. Pusti and Kicky saw eye-to-eye on life values, and together made Pusti's Danish upbringing a central part of their family, often bringing it to the wider community. Kicky was Pusti's best friend and the love of her life. Francis worked as Assistant Attorney General of Maine in Augusta; he subsequently served as Deputy Attorney General for the State of Maine for several years. He was respected for his thoughtfulness as a lawyer; the quality of his legal writing, his presentations in court, and his negotiations with opposing lawyers. The legal work about which he cared most were cases that protected people from bias-motivated violence and cases that held businesses accountable to play by the rules, in both anti-trust and consumer protection. For Francis, the practice of law was an extension of his commitment to progressive principles of fairness and justice. Francis did not count his victories or seek praise. It was enough for him to know that, as a result of his work, a family became safe from violence, or a business was required to compete fairly. Francis retired in 2008. Though many people couldn't tell, he had already had Parkinson's Disease for eight years. Together he and Pusti faced the indescribable complexities of the disease with optimism and courage. By maintaining a life as unchanged as possible for their family, they continued regular travels to Switzerland and Denmark, with visits to the UK, France, and even Morocco. His way of fighting the disease was to challenge it in return: playing ping pong and soccer avidly, climbing Mount Katahdin in Maine and Dents du Morcles in the Alps. In the last decade of his life, Francis and his sister, Julia, co-authored a historical novel. Inspired by a 13th century Icelandic saga, he was fully committed to this endeavor and their tale gave voice to his spiritual journey and wide-ranging imagination. Writing had always been one of his greatest joys. To his children, Francis was "Far." A loving and devoted father, he taught his children the importance and joy of imagination. He made the world a magical place, where everything had unexpected narratives and came alive. They will especially remember his amazing capacity to write original songs for every birthday and special occasion, waking up to the aroma of his blueberry pancakes, playing games of all sorts together, and his love for their mother. He is remembered by friends and family across the world for his love of storytelling, proverbs, literature, recitation and song; his fluency with language, whether English, French, or Danish; his old-world intellect, charm and wit; his curiosity and generosity toward friends and strangers alike; and his belief in fighting injustice and helping those who are most vulnerable. Francis is survived by his wife of 35 years, Anne Marie Buschardt of Augusta, Maine; by his three children, Cecilia Ackerman, Anna Ackerman, and Peter Ackerman; by his four siblings, Helen Weston Ackerman, Julia H. Ackerman, Justin Ackerman, and Tippy Ackerman; his nieces and nephews, Damien Petty, August Popkin, Clair Popkin, Anouk Ackerman, Aurelie Baroni-Ackerman, and Jayden Xu-Ackerman; his five Danish brothers-in-law and their spouses, Peter and Kirsten Buschardt, Jan and Joan Buschardt, Anders and Manuela Buschardt, Claus and Gitte Buschardt, Jacob and Mireille Buschardt, and 11 nieces and nephews in Denmark and Switzerland. A memorial service will be held at 3 p.m., on Friday, Aug. 17, at the Harrington Meeting House, 278 Harrington Road, Bristol. Michael J. Fox Foundation for Parkinson's Research . PITTSTON – Clyde E. Sirois, 74, of Pittston died on August 11, 2018. He was born in Gardiner, ME on May 8, 1944, the son of Carolyn (Bailey) Sirois and grew up in the Dresden area. Bowdoinham-Margaret "Margie" E. McMullen, 79, of the Fisher Rd. passed unexpectedly of Friday, August 10, 2018 at a local hospital. She was born on October 30, 1938 the daughter of William and Ottalie Gile. Margie along with her husband Patrick McMullen were the owner operators of Rock-A-Dry Baby Diaper Service and Bowdoinham Linen. She also worked for a time at Capt. Mikes Seafood in Brunswick. Margie enjoyed traveling, reading, going out to lunch with the girls, volunteering at the Bowdoinham Food Pantry, and especially time spent with her family, grandchildren and great grandchildren. She was a long time member of the Eastern Star Electa Chapter #2 of Bowdoinham and the Bowdoinham Food Pantry. Margie was predeceased by her husband Patrick McMullen and her parents. She is survived children Gile McMullen of Bowdoinham, Beth Owens of Virginia, Amy Wilson and husband John of Orrs Island, Patricia McMullen of New Hampshire, 7 grandchildren and 6 great grandchildren. Family and friends are invited to visit on Thursday, August 16th from 4 to 7pm at the funeral home. A funeral service will take place on Friday, August 17th at 11am also at the funeral home. A burial will follow at the Village Cemetery, Bowdoinham. A gathering will follow at the Village Lodge in Bowdoinham. Richmond-On August 10, 2018 in the early hours of the morning, Cheryl or “Shebsie” as Dad loved to call her, passed away with her adoring husband of 55 years and four children close by her side. Cheryl, was born on October 4, 1943 to Lenore and Ronald Gallagher, she attended Gardiner Area High School. Cheryl was one of nine children, she adored her brothers and sisters: Dicky, Jackie, Diane, Donnie, Ronald, David, Bonnie and Earl. Soon after school she met the love her life Lewis Ronald Loon whom she loved to call “Ronnie.” The two built a beautiful loving marriage, life and home for their four Children. Mom was a devoted wife and mother she kissed her husband every morning, created a home where dinner was on the table every night and instilled in her children the value of family. She is survived by her eldest doting daughter Jolene Benner “her sweet Jody”; son Lewis Charles or as mom referred to him “my Chucky” and wife Sherrie Loon; son Lewis Donald “or my little Lewie” and wife Bethany Loon and her youngest daughter, Laurisa Ann Loon “my little Bippy” and husband Chad Clark. She was blessed with six beautiful grandchildren who were the light of her life that she adored and loved as her own: Marissa Loon, Ashley and Amber Loon, Benjamin Loon and Luke and Beau Clark. Cheryl, was self-employed as a child care provider for over 20 years on Boynton Street taking care of many children over the year’s right up until her passing taking care of her youngest grandson her little Beau. You could always find them side by side laughing and joking and shopping online together. 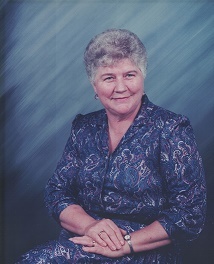 Cheryl, had a strong love of family and her Irish heritage that she instilled in her children and grandchildren. Mom loved to say “if you’re lucky enough to be Irish, then you’re lucky enough” or “there are two types of people in the world the Irish and those that wish they were” needless to say St. Patrick’s Day was a gathering filled with family, love and laughter and her traditional Irish dinner. The holidays were her favorite bringing us all together from the Fourth of July parties to the extravagant Thanksgiving and Christmas dinners, going away for vacations at camp and trips to Connecticut with not only her children and grandchildren but her loving sister Bonnie and her family. 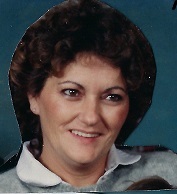 Mom’s infectious laugh and love for tricks and jokes kept our home alive, she embodied the saying Live, Love and Laugh. Mom was the rock of the family, there was nothing she wouldn’t do for her children and family. My precious mother is no longer here but the world gained a beautiful angel. I can hear my mom leaving us with this Irish Blessing: May the road rise up to meet you. May the wind be at your back. May the sun shine warm upon your face, the rain fall soft upon your fields and, until we meet again, may god hold you in the palm of his hand. Visiting hours will be held on Wednesday, August 15 at Kincer Funeral Home 130 Pleasant Street Richmond from 11a.m. to 1p.m. A graveside service will follow at the Cotton Cemetery. All are welcome to attend a celebration of her wonderful precious life at her daughter’s home at 110 Main Street, Richmond, ME 04357. Gilson Cole McKenney II ended his earth walk unexpectedly on Aug. 6, 2018. He was born on June 1, 1958 in Gardner, Mass., the only son of Natalie Yale Harrington and Gilson Cole McKenney. He spent his early years on a small dairy farm in Ashburnham, Mass. In his early teens the family moved to a larger dairy farm in Richmond, Maine. Gil graduated from Richmond High School and went on to the University of Maine in Orono to study agriculture. Most of his jobs were in that field. In the new millennial Gil met the love of his life, Dawn Charlonne. They settled down to a nice life on Pleasant Pond where they enjoyed music and partying and their little Corgi dogs. Last year they downsized and moved to Winthrop for a simpler lifestyle. Gil is survived by his beloved Dawn Charlonne, 4 sisters, Barbara McKenney, Wendy Harrington, Terry Yale and her husband David Kamila, all from Maine, and Lee McKenney from Arizona. Also 4 nieces, 2 nephews and 4 great nephews all from Maine. A Celebration of His Life will be held at Kincer Funeral Home 130 Pleasant St. Richmond at 2:00 p.m. on Aug. 19, 2018. Colorful attire is suggested.